« We will miss you, Paw Paw Deakle. Last weekend we went to Maw Maw Cash’s family reunion in Boaz and got to visit with lots of relatives. Savannah, who fancies herself the next American Idol, put on a few performances including a medley of Jesus Loves Me and God Bless America. 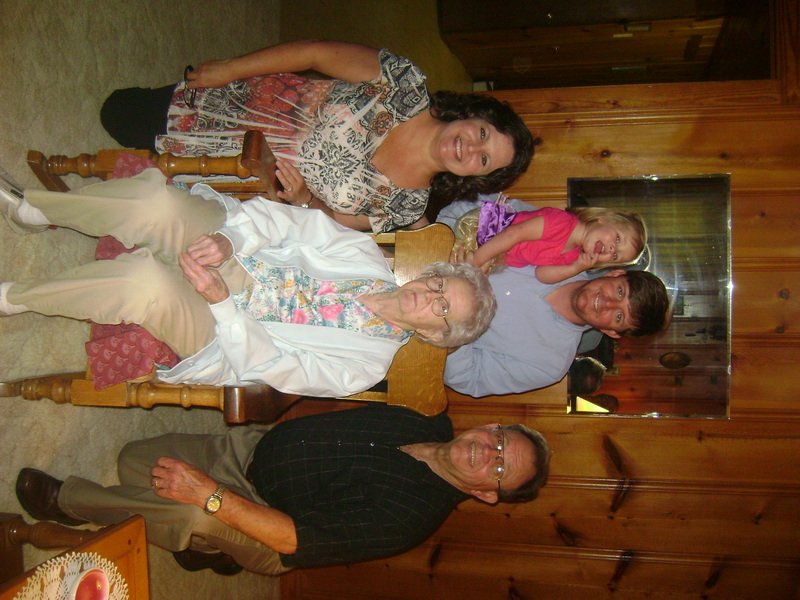 While in Boaz, I was able to get that elusive 5 generation photo (yes, that’s right, Savannah has a great-great grandmother – actually, she has two).